Cabinteely FC lose to St Joseph's Boys. 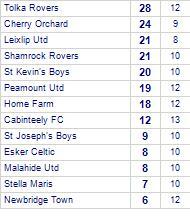 St Joseph's Boys are currently on a winning streak of 6 games.They have yet to be beaten away from home. Firhouse Carmel draw with St Joseph's Boys. St Joseph's Boys are defeated by Sacred Heart. Sacred Heart has yet to be beaten in this competition, having won every game. 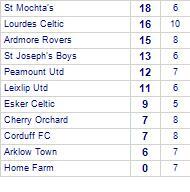 Ardmore Rovers lose to St Joseph's Boys. St Joseph's Boys are currently on a winning streak of 4 games. St Kevin's Boys beat St Joseph's Boys. 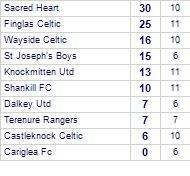 St Joseph's Boys share spoils with Wayside Celtic. 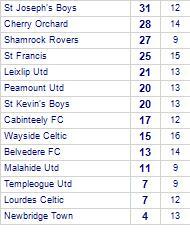 St Joseph's Boys take spoils against Lourdes Celtic. Cabinteely FC despatch St Joseph's Boys. St Joseph's Boys take spoils against Belvedere FC. 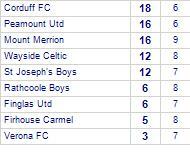 Drumcondra AFC win against St Joseph's Boys. St Joseph's Boys take all points from Firhouse Carmel. 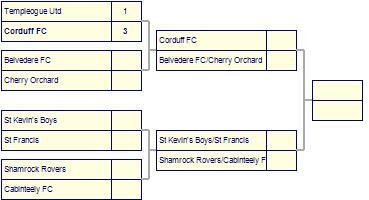 Corduff FC beaten by St Joseph's Boys. St Joseph's Boys win against Lourdes Celtic. 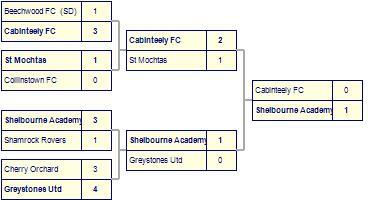 St Joseph's Boys are defeated by Shelbourne Academy. 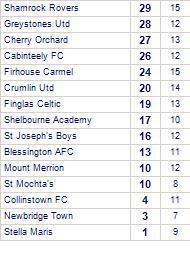 St Joseph's Boys are defeated by Collinstown FC. 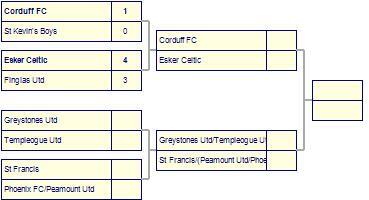 Corduff FC win against St Joseph's Boys.